New 3 bedroom single story home. Modern kitchen with a dishwasher, large laundry with washing machine, fully enclosed backyard with BBQ and outdoor table setting. Living room has TV, CD player and video with a selection of children's videos and books. Two bathrooms are included and a large double lockup garage with remote control. Located in the centre of Tuncurry with easy walking distance to shops, pub, bowling club, lakes entrance, Tuncurry beach and the Rock pools- childrens beach (swim and watch the dolphins play). The home is design with the family in mind and room for a 5 metre boat (not included). 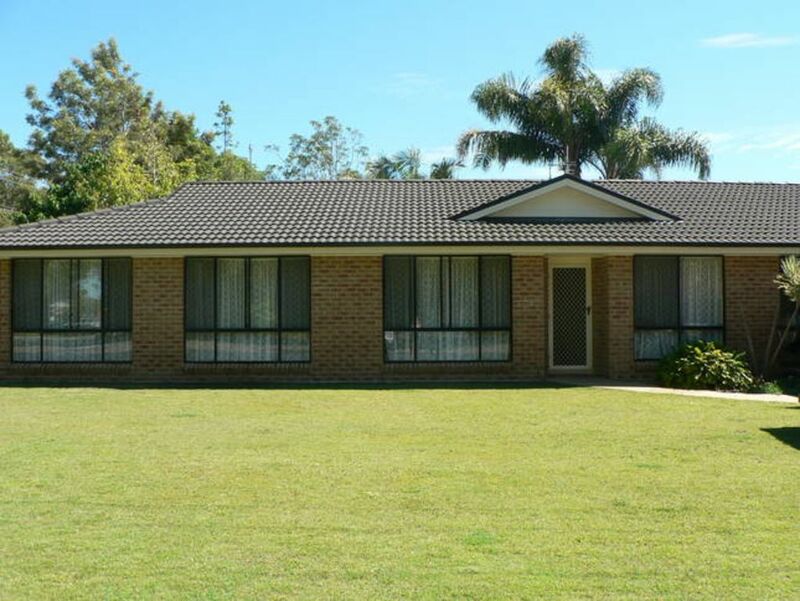 Located one block from the Cinema, shops and easy stroll to the pub, bowling club, the Rock pool childrens swimming beach, Lakes entrance and Tuncurry beach. Parking in the driveway for 2 vehicles and street parking available. Large Double Garage and will accommodate a boat. Check with owner for dimensions. Additional parking for two vehicles in the driveway. There is a step from the garage to the house and also a step at the front door. The home is level and tiled with the exception of the bedrooms. Main bathroom has the door opening outwards. The home wasn't designed with wheel chair access in mind. The stay was fine but I STILL haven’t received a tax invoice. You are saying the homeowner needs to do it and Dennis is saying you need to do it. I’ll now be going to the Ombudsman, ATO and seeking legal advice because I’m out of pocket a substantial amount of money (I can’t be reimbursed from work until I produce a tax invoice). I’m really frustrated and have spent too much time chasing this. Disgraceful on your behalf, I’ll never use the service again and warn others too. Firstly, we apologise for the misunderstanding and trust the receipt issued is satisfactory. We have been with Stayz 2012 and this was the first time we had uncounted this problem. We sincerely trust the low ranking isn’t reflective of the quantity of the accommodation provided. Very comfortable house and everything you need. Great for the dog with the enclosed garden. We will stay here again. We are glad you enjoyed your stay and thank you for taking the time to write a review. We look forward to you returning. It was most relaxing and very enjoyable. Roomy with great sized garage for boat. Quiet location. Easy walk to most things. Good sized house with great enclosed backyard. Thank you for taking the time to write a review. We appreciate your feedback and glad you enjoyed your stay. Good position, roomy & comfortable. Quiet & close to shops & beach. Thank you for taking the time to leave a review. We are glad you enjoyed your stay and look forward to hearing from your in the future.